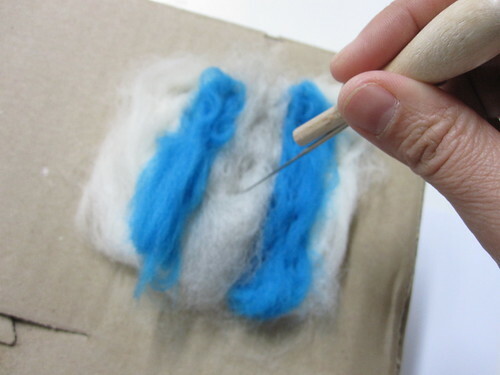 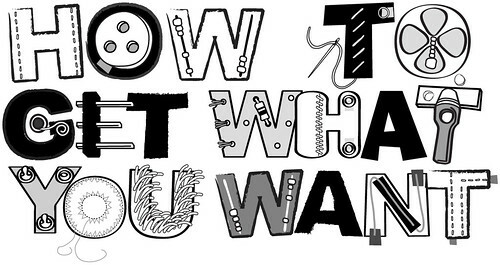 You can make a conductive felt with conductive wool. 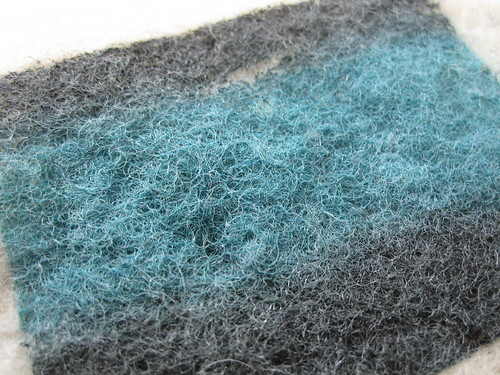 This method is used to make a conductive carpet for airplanes and other shielded place. 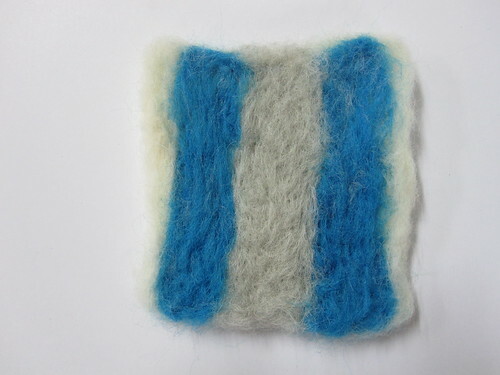 I have used needle felting method to make a conductive pattern on felt. 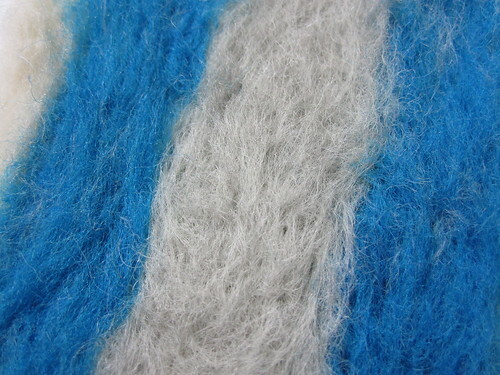 This conductive wool’s property is something similar to conductive yarn‘s. 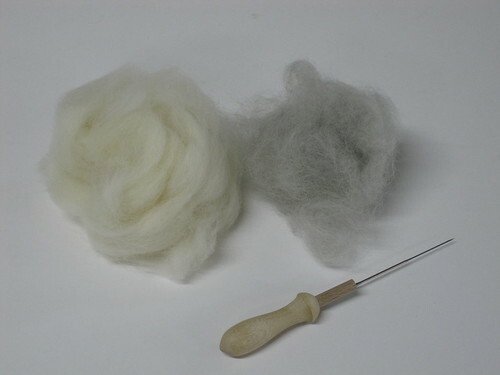 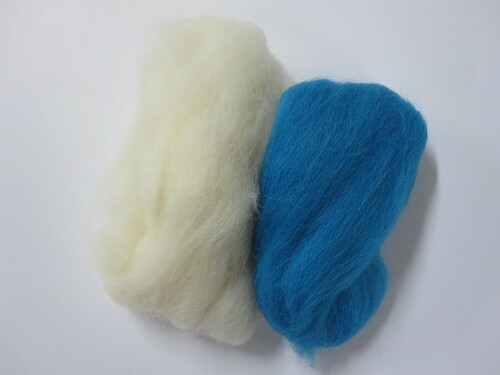 When you squeeze the ball of wool, the resistance gets lower, and this is same when it is felted. 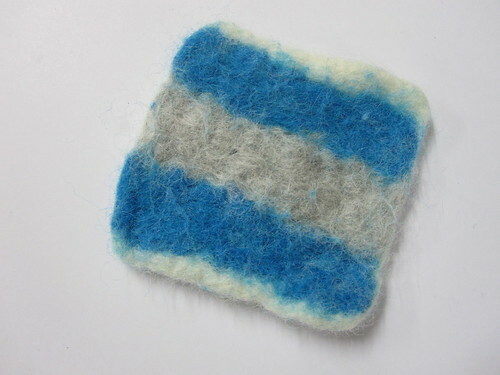 So, the conductive felt works as pressure sensor too. 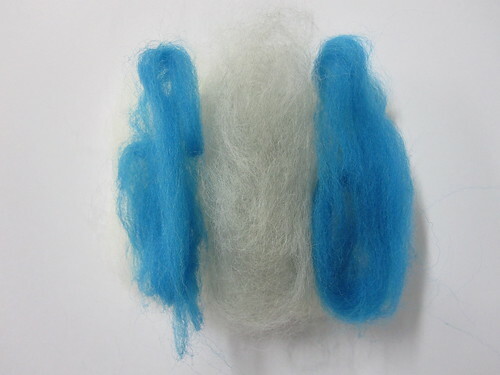 The other application of this conductive felt is to use it as heat element. 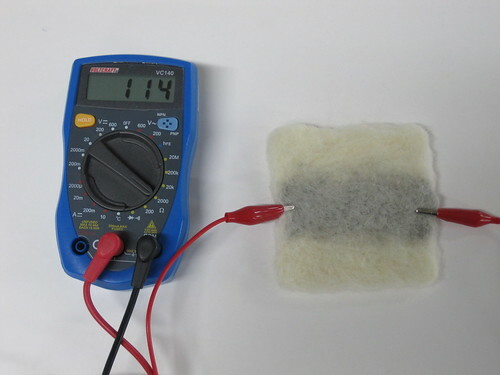 When the current is applied, it heats up. 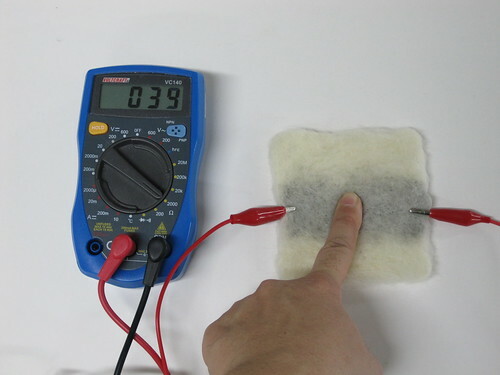 This is same as when you short cut the circuit, so be careful not to apply too high current. 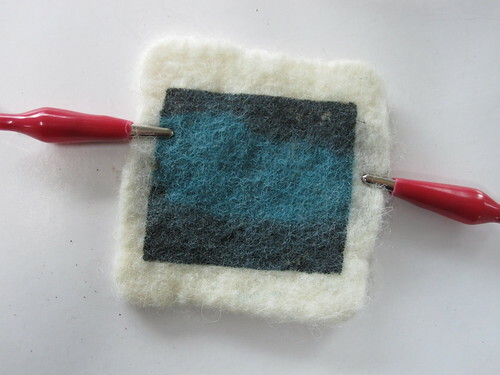 (It will start to burn) The bottom example is with thermochromic ink print. 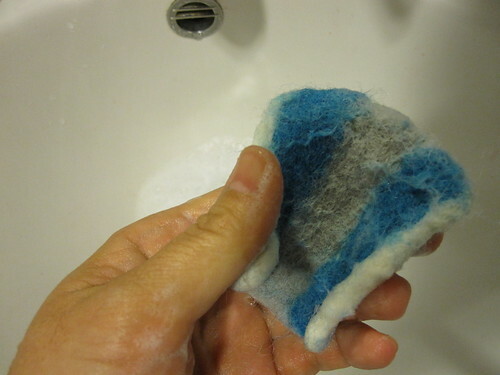 You can see the color change on print as the current is applied.